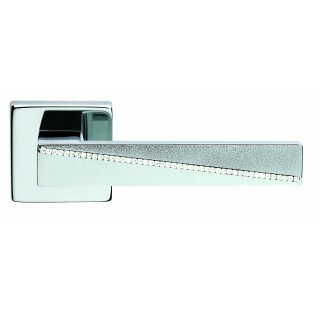 Interior door handle Apro Gemma series on square rose key hole. With Swarovski crystal or blue. One of the most beautiful handles and search by users, for modern environments, recommended in polished chrome with crystal swarovski, beautiful and elegant.